Sudanese police fired tear gas at hundreds of protesters marching towards the presidential palace in Khartoum on Thursday, as demonstrations demanding President Omar al-Bashir’s resignation spread to other cities and towns. 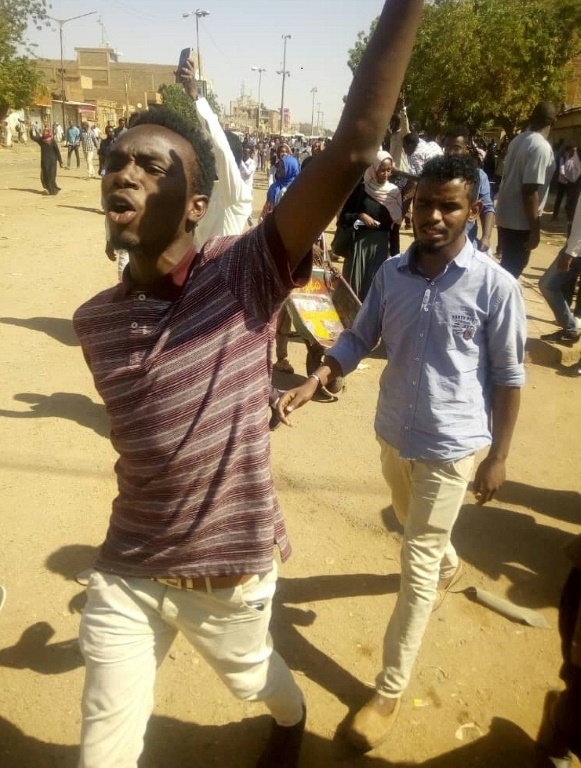 Protesters chanting “Freedom, peace, justice” gathered in central Khartoum and began their march but riot police quickly confronted them with tear gas, witnesses told AFP. Demonstrations were also held in the Red Sea city of Port Sudan, in the provincial town of Gadaref and in the agricultural hub of Atbara, where the first protest broke out in December after a government decision to raise the price of bread. Meanwhile Sudan’s economy struggles to recover from the loss of three quarters of its oil output-its main source of foreign currency-since South Sudan seceded in 2011,keeping most of the oilfields.